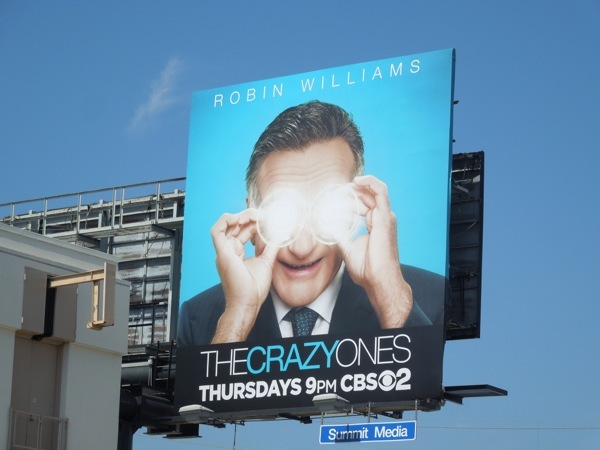 This season CBS are pulling out the big guns to bolster their comedy line up, with the return of Robin Williams to sitcom land. 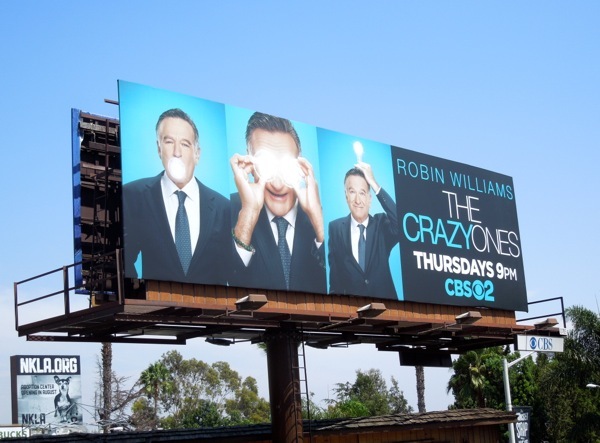 The breakout star of the late 70's/early 80's TV sci-fi sitcom Mork & Mindy, the successful stand-up comedian and actor graduated to the big screen in such hit movies as Good Morning, Vietnam (1987), Dead Poets Society (1989), The Fisher King (1991) and Mrs. Doubtfire (1993) to name but a few, not to mention adding his vocal talents to play the hilarious scene-stealing 'Genie' in 1992's Disney animated film, Aladdin. 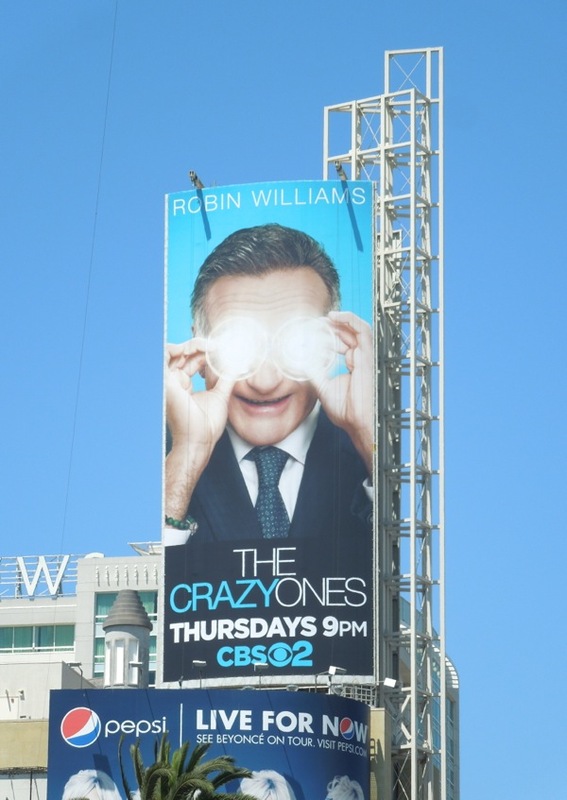 Now the Academy Award winner (for Best Supporting Actor in 1997's Good Will Hunting) finds himself back on the small screen and teamed with Buffy the Vampire Slayer's Sarah Michelle Gellar (following her disappointing return to TV two years ago in The CW's lackluster twin mystery thriller, Ringer). 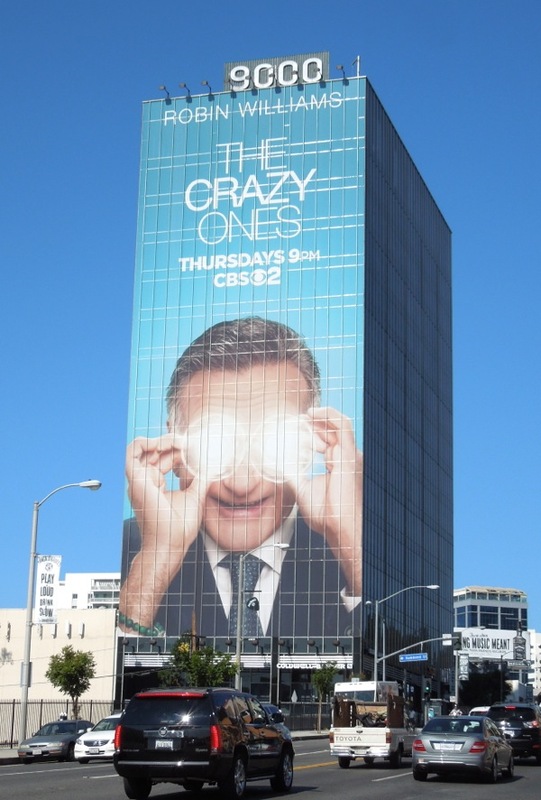 They star as father and daughter in a single-camera workplace comedy about a larger-than-life advertising genius whose unorthodox approach would get him fired, that is, if he wasn't the boss. 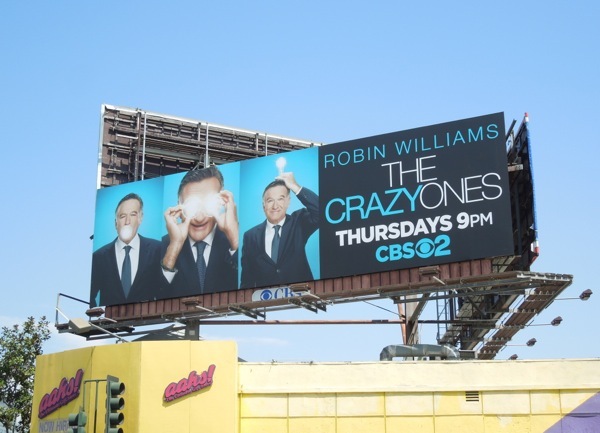 Let's hope their on-screen chemistry will be comedy gold and and not a crazy failure, only time and ratings will tell. 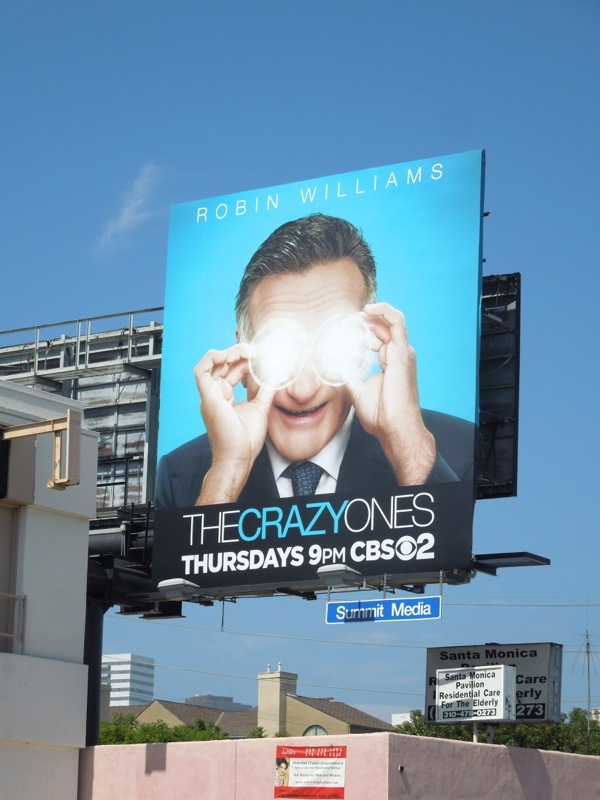 One thing for sure is that these goofy billboards certainly capture Robin Williams quirky personality and make for some eye-catching visual gags. 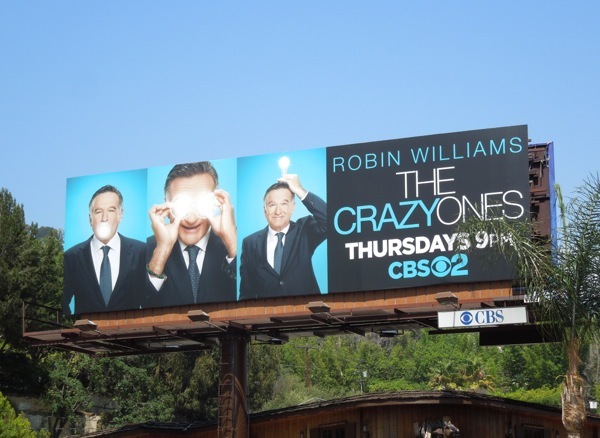 Hopefully the humour in these ads will translate to the CBS comedy. 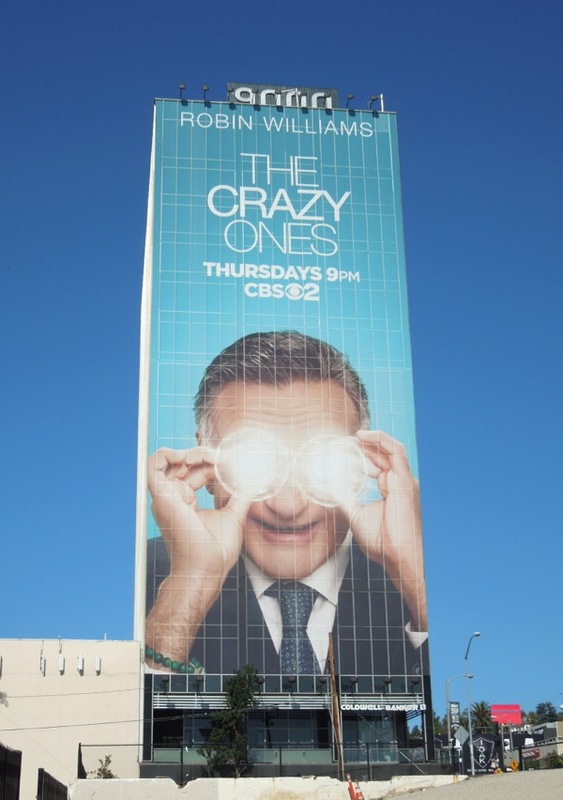 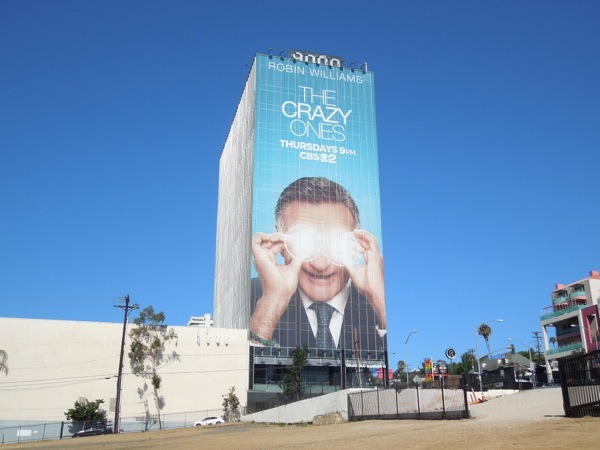 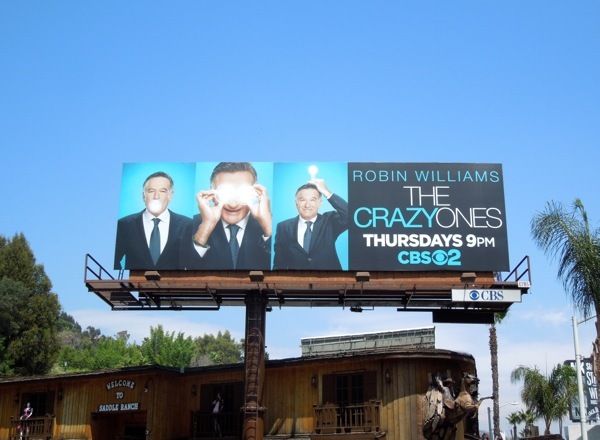 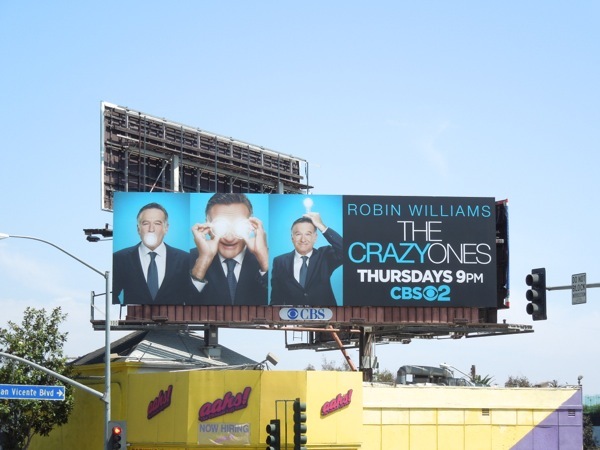 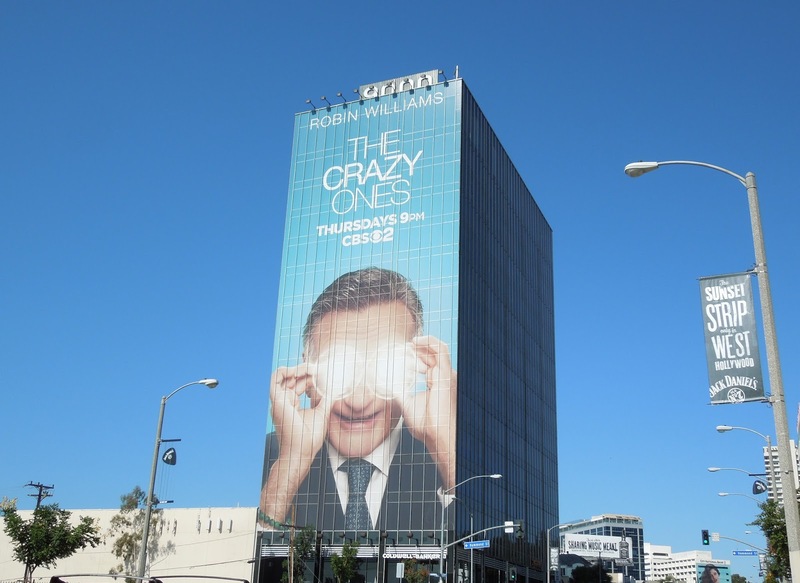 The square 'lightbulb eyes' billboard creative for the series premiere of The Crazy Ones was first spied along Santa Monica Boulevard on August 15, whilst the standard landscape billboards were spotted in two different locations along Sunset Boulevard on August 19, 2013. 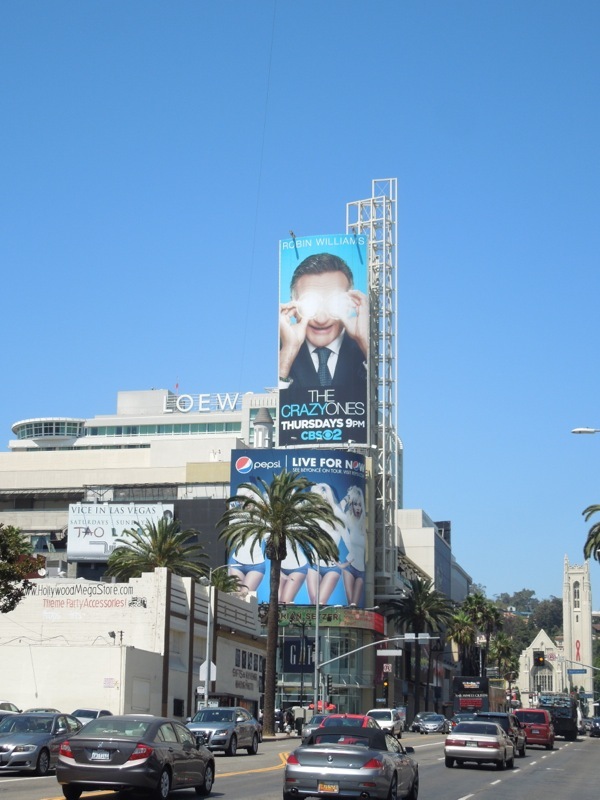 The giant-sized creative was snapped towering over L.A.'s Sunset Strip, whilst another vertical ad was spied high over Hollywood & Highland entertaining motorists and tourists alike on August 21, 2013. 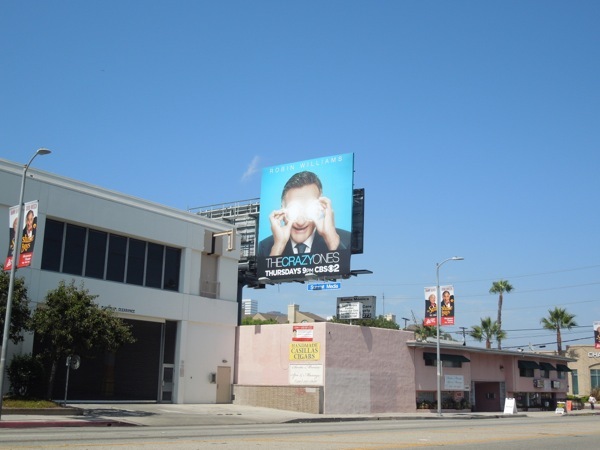 If you like these new season TV billboards, be sure to stick around for even more ads for new series debuting this fall.